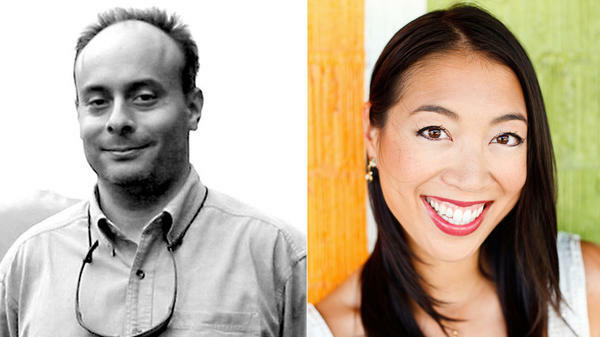 NPR's Anthony Kuhn and Elise Hu. In a message to newsroom staff, Senior Supervising Editor of NPR's International Desk Will Dobson shared the following staffing update. The Korean peninsula has seen no shortage of breaking news in recent months. So I regret that I must break the next piece of news: Elise Hu is leaving her post in Seoul. Elise arrived in Seoul in March 2015 to open NPR's bureau there. To say she's had an eventful time of it would be an understatement. Elise covered the bizarre scandal that brought down one Korean president, and the election of another. She bore witness to the escalation of tensions between Washington and Pyongyang, as well as the summit that brought Trump and Kim Jong un together last month. There were exploding Samsung batteries, a first-ever visit by a US president to Hiroshima, a Japanese leader's visit to Pearl Harbor, a hugely successful Winter Olympics, and a lot of breaking news. But along the way she also had some fun in her own inimitable way, looking at humanoid department store helpers in Tokyo, the rise of wedding guest rentals in South Korea, square haircuts for dogs in Taiwan, and the pressure to prepare gorgeous lunch bento boxes in Japan. But it isn't necessarily bad news. Because while Elise will be departing from the International Desk, she will be relocating to NPR West, with more details to come. I am also thrilled to announce that Anthony Kuhn will be NPR's next Seoul correspondent. Anthony has long distinguished himself as the consummate China hand. From his perch in Beijing, he has helped lead our coverage of China and greater Asia with sharp, clear-eyed analysis of the newest twists and turns in Chinese politics, economics, and culture. In one rare instance, his remarkable, unaccented Chinese-language skills even turned him into a viral media sensation. Not that China has ever contained Anthony—he has reported for NPR from most corners of Asia, including Myanmar, Bangladesh, Indonesia, Japan, and his next home, South Korea. Anthony's expertise will be an enormous asset on the fast-moving Korean peninsula as NPR and the world attempts to understand Kim's stratagems and the Trump administration's efforts to achieve a diplomatic breakthrough that has eluded its predecessors. Anthony and his family will be making the move to Seoul in a couple months, and we will be launching a search for a new Beijing correspondent right away. Please join me in congratulating Elise and Anthony!